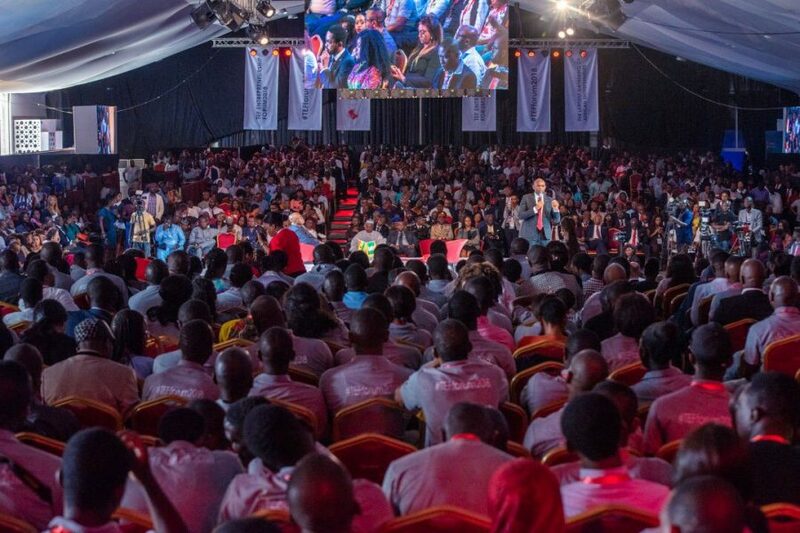 Over 1,000 funded, trained and mentored young African entrepreneurs in Africa’s leading entrepreneurship-focused philanthropic organisation, the Tony Elumelu Foundation (TEF), on Thursday, October 25, 2018 have converged at the fourth annual TEF Entrepreneurship Forum to be graduated for the first time since the programme launched in 2015. “The TEF Entrepreneurship Forum is the only event across the continent that brings together the complete African entrepreneurship ecosystem, demonstrating our commitment to capturing the whole continuum – from the entrepreneurs themselves, governments who must provide enabling environments, to capital, advice and perhaps most importantly access and network,” TEF CEO, Parminder Vir OBE said. This is year, at the largest largest gathering of African entrepreneurs and the broader entrepreneurship ecosystem, where over 5,000 entrepreneurs, global investors, leaders from the African public and private sectors and developmental organisations gathered to discuss advocacy and partnerships for sustainable Africa, an additional 460 entrepreneurs joined the selected 1,000 TEF entrepreneurs to graduate the programme in Lagos, Nigeria’s commercial capital, thanks to extra funding from humanitarian and development partners. A $1 million support from International Committee of the Red Cross (ICRC) allowed an additional 200 entrepreneurs in the post-conflict Nigeria to join the programmed this year, while €1 million from Deutsche Gesellschaft für Internationale Zusammenarbeit (GIZ) provided 210 young and/or female tech entrepreneurs in selected East and West African countries to join the capacity building and training programme. A $200,000 support from United Nations Development Programme (UNDP) also provided access to 40 pan-African entrepreneurs with $5,000 seed capital funding, training and mentorship for their business. This is the first time in the history of the foundation since the entrepreneurship programme launched in 2015 that more than 1,000 entrepreneurs will be graduating the programme, a result of the foundation’s advocacy towards inclusive partnerships. In keeping with the foundation’s track record of bringing politicians face to face with the new generation of young business women and men shaping Africa, the most recent being the French President Emmanuel Macron, the forum provided an interactive session with Kenyan President Uhuru Kenyatta and Ghanaian President Nana Akufo-Addo which was moderated by TEF Founder, Tony O. Elumelu. Kenyatta who couldn’t physically make the event, spoke live via a video call, extolling the virtue of entrepreneurship in Africa’s development. Speaking on Kenya’s development in terms of tech startup hubs, he saw technology as shaping Africa’s growth in the nearest future. He called on his colleagues across the continent to collaborate with TEF Entrepreneurship Programme to advance development and growth through entrepreneurship. Ghana’s President Akufo-Addo told his African leader colleagues that the future of the continent rests on entrepreneurship, saying right policies, good governance and stable economies, would lead to positive revolution across Africa. “This is what I’m doing in Ghana since my assumption of office in January 2017. I have set up the Ministry of Business Development and Investment” to support the growth and development of businesses in the country. “I am opposed to this image as a continent with its arms out begging for aid. We have all the resources and should be giving aid to other people. 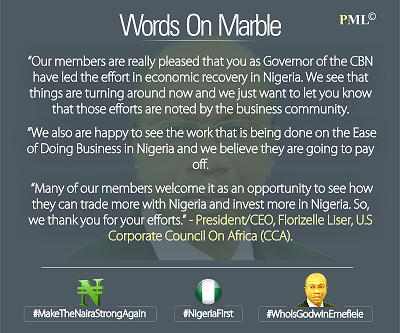 We can build that Africa, if we are all singing from the same hymn sheet,” he added. Tony Elumelu chairman of Heirs of Holdings, Transcorp and United Bank of Africa, told the audience that his vision for Africa’s development through entrepreneurship philanthropy, lead to an economic philosophy of Africapitalism, where African private sectors can collaboratively develop Africa in partnerships with public sector who provide the enabling environment for the private sector; and development partners as well. Important to his vision, he said, is the concept of institutionalizing luck and democratizing opportunity for a new generation of African entrepreneurs. Through this, he hopes that projects similar to his ambitious entrepreneurship programme can be implemented globally. 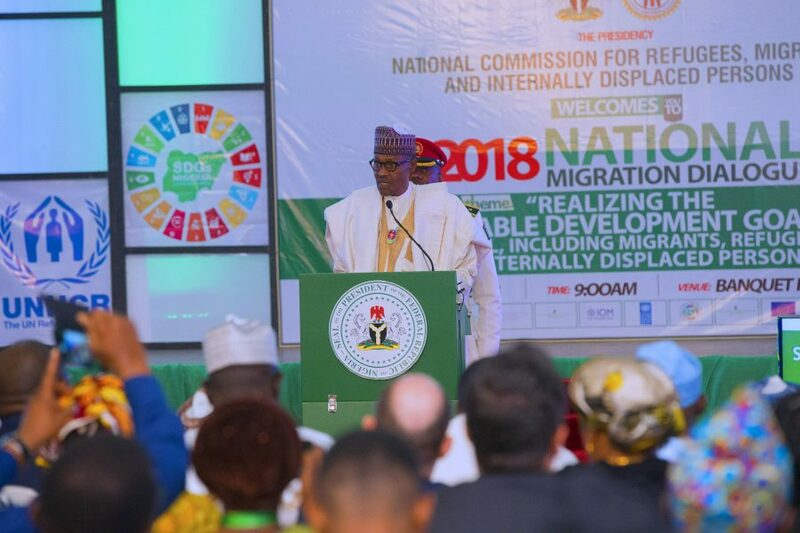 “We know entrepreneurship is the way to create jobs, eliminate poverty, grow wealth – on a scale that the Africa needs – to achieve the ambitions we all have – not least those before you – & to scale the challenges that we know are all too real,” he said. Nkosana G. Mazibisa, CEO and Managing Partner Mazibisa Inc. Brand Consultancy; Momarr Taal, Founder and Managing Director of Tropingo Foods; Mavis Nduchwa, CEO, Chabana Farms and Godwin Benson, founder of tuteria.com received the award of the Most Impactful Entrepreneurs at the #TEFforum2018. Mahassin Quadri, Founder Cash Madam, emerged winner of the TEF Pitching Competition yesterday. Her company was seeking $50,000 in funding to help push her app, CashMadam, forward. The app records relevant business information and converts this information to prompt the user to take the right business decisions. The world’s largest digital platform for African entrepreneurs, TEFConnect, aimed at connecting entrepreneurs to three key things needed for success – money, market and business tools came alive at the forum yesterday. Elumelu said at the official launch of the digital hub that it will convene the full entrepreneurial ecosystem across Africa including entrepreneurs, investors and the business community on one platform. 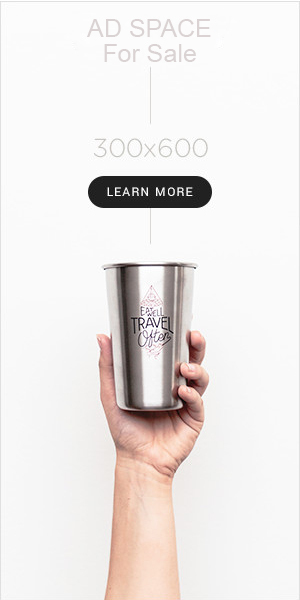 The platform expectedly gives entrepreneurs access to five specific benefits such as one-stop digital home for entrepreneurship ecosystem players including entrepreneurs, incubators, investors, academia and the private sectors; as well as news, informative resources, entrepreneurship events and opportunities. 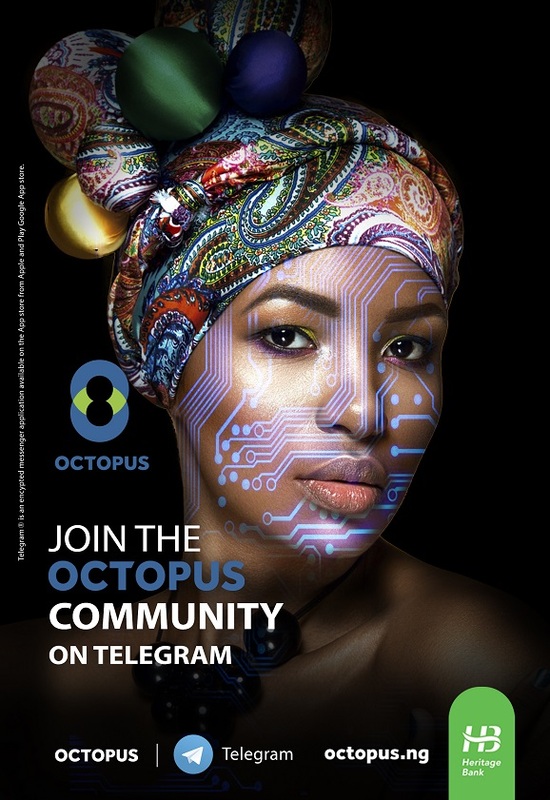 Additionally, the will allow the entrepreneurs create the space that allows them to transact across countries and regions in “Africa’s largest digital marketplace, with traffic reaching millions of consumers” and will provide access to free business tools such as financial planning calculators, business plan generators and marketing templates, among others. According to Parminder Vir, TEF CEO, the platform will grant access to the Foundation’s Entrepreneurship Programme Application Form, Enterprise Toolkit and business mentoring by global business leaders; as well as enable them promote their businesses to potential investors and other entrepreneurs for cross-border collaboration. 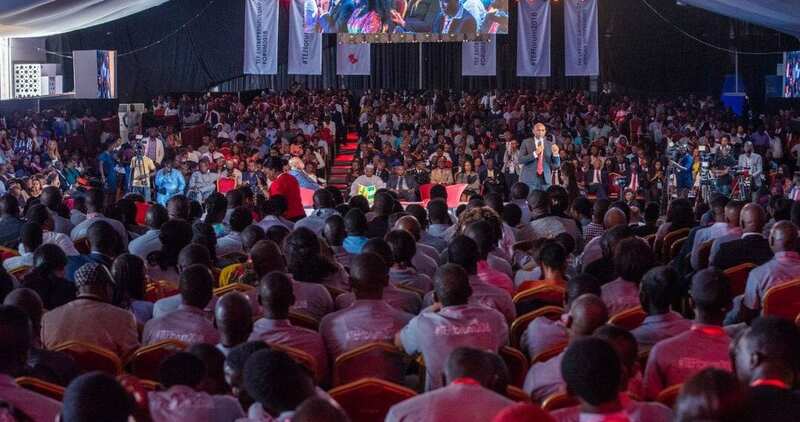 The Tony Elumelu Foundation Entrepreneurship Programme is a 10-year, $100 million commitment to identify, train, mentor, and fund 10,000 entrepreneurs; with a goal to generate at least 1,000,000 new jobs and contribute at least $10 billion in new annual revenues across Africa. In its 4th year, TEF Entrepreneurship Programme has empowered 4,460 entrepreneurs with a total investment of $20 million; 4,000 funded directly by the Foundation and 460 have been funded by partners.